Warning: *** Part of the product is made of latex rubber, which may cause allergic reactions. If you are allergic to latex or if you are not sure about this, please consult to your doctor for instructions before usage. 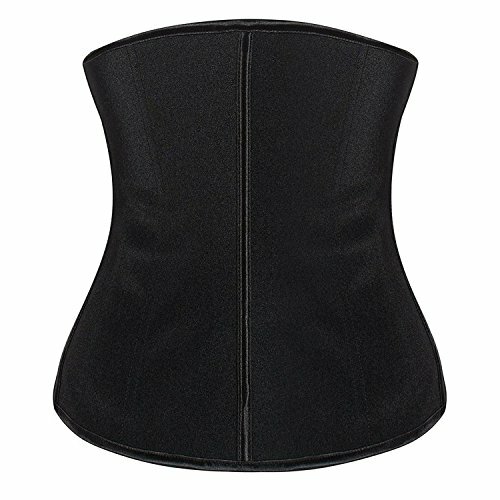 *** Womens latex waist trainer shapewear: Big and wide 3 Hook and Eye Closure allow for size adjustment, give you more choice to wear; 9 Spiral steel boned for waist cincher support and keep you in best posture which is flexible and durable, as soft as plastic bones, can bend easily but recover quickly to origin; If you worried about steel boned or not, you can test it with a magnet ; Can be used for yoga, postpartum belly abdomen corset etc. Upgraded 3 layers fabric: Inner layer constructed with soft and cozy 96% Cotton+4% Spandex; Mid layer of 100% natural latex; Outer layer of durable Nylon+ Lycra & spandex; Covered boning in front and back for added support, smooth waistline,3 columns hook-and-eye closure classic design, alow you to adjust size as necessary; Make you Slim and Beautiful. High compression Durable latex will give you a high resistance to slim curve. It will also works for LONG TORSO WAIST. This Rubber Latex Waist Training Corsets helps to reduce 3-5 inches in waist when you wear it. Plus size waist trainer design also fit big size waist. Select the size you like with the size map Or you could read the product description to select the right size you need. 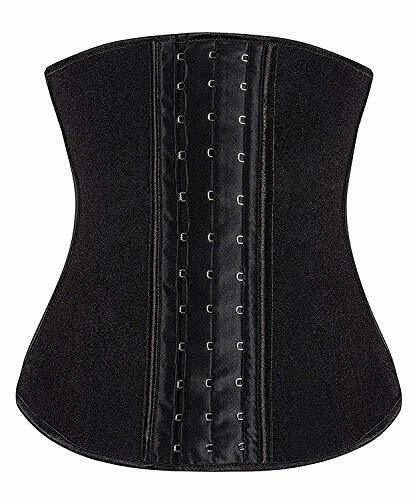 This product strong enough to be used as a Boned Waist Training Corset, Boosts thermal activity and gently lifts underbust,control tummy just by putting it on.Takes inches off your waist and creates an hourglass figure and promotes a quick postpartum recovery.